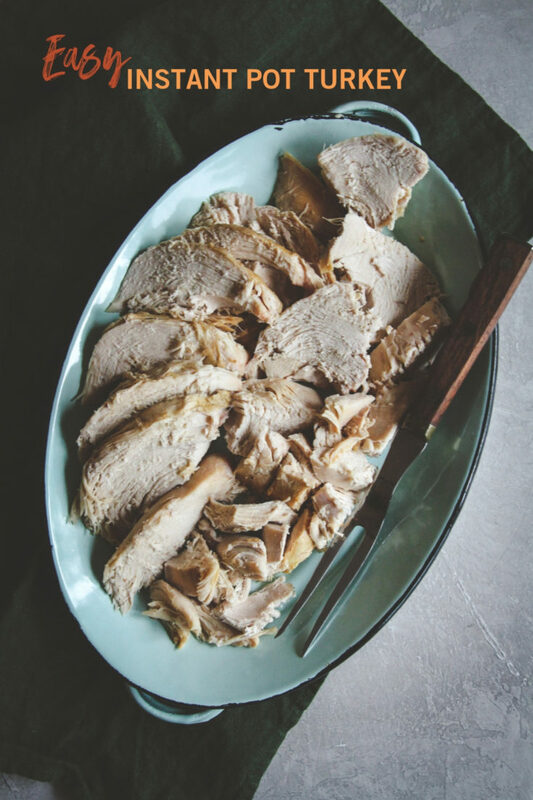 Forget spending hours trying to make a turkey breast in the oven, make the best and easiest turkey breast recipe by cooking it in an Instant Pot. 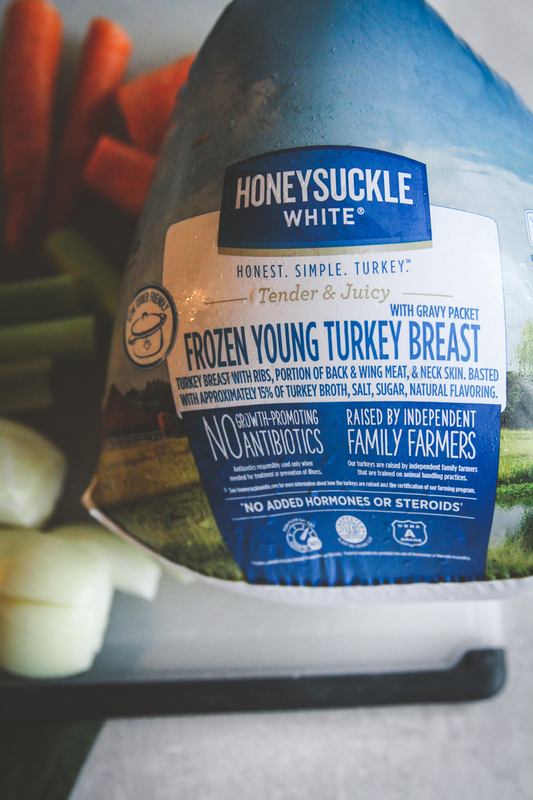 Not only will you have the juiciest and most flavorful turkey breast you’ve ever had, but cook time is less than an hour! I’m so in love with my Instant Pot as I’m sure you know by now (see my recipe for spaghetti and meat sauce or this secretly healthy baked potato soup). With the Thanksgiving holiday coming up, I have turkey and all things Thanksgiving on my mind. I have to admit, my favorite part of a Thanksgiving turkey is the white meat, the breast. 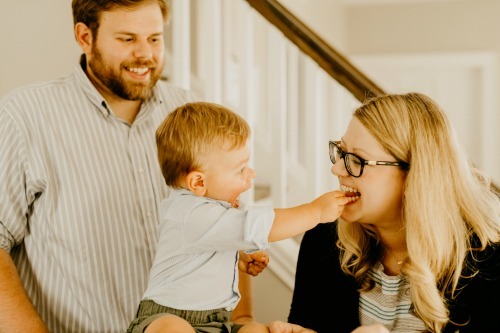 There were years when I was growing up when we didn’t have a lot of extra guests (just our family of 6) where my mom would buy just a turkey breast and the whole family would love it. My question was: can you make turkey breast in an instant pot? 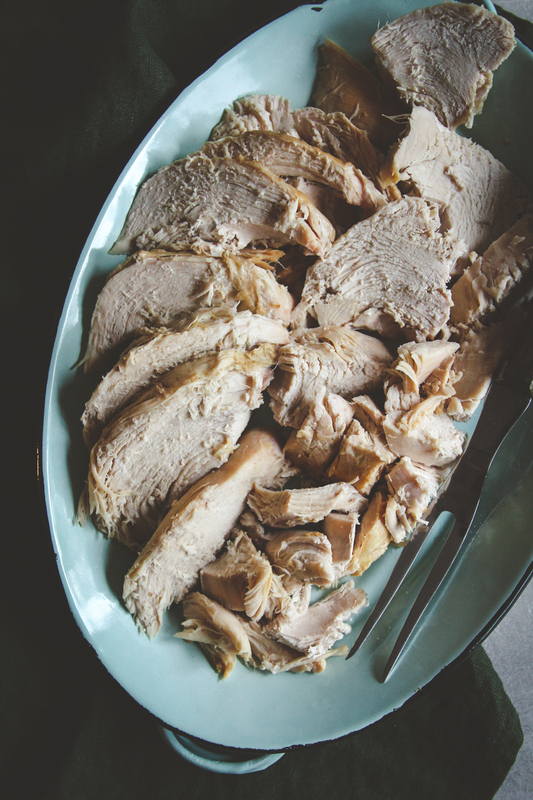 I had a 7 lb frozen turkey breast, and I am so happy to report that this easy instant pot turkey breast recipe makes the juiciest and most flavorful turkey breast I have ever had! Even my husband (who likes dark meat because he thinks white turkey meat dries out) said it was delicious! 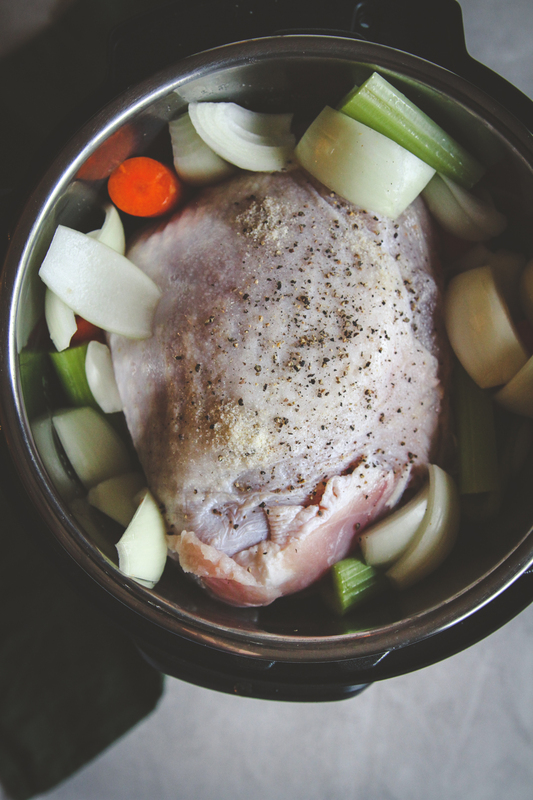 How do you make turkey in an Instant Pot? 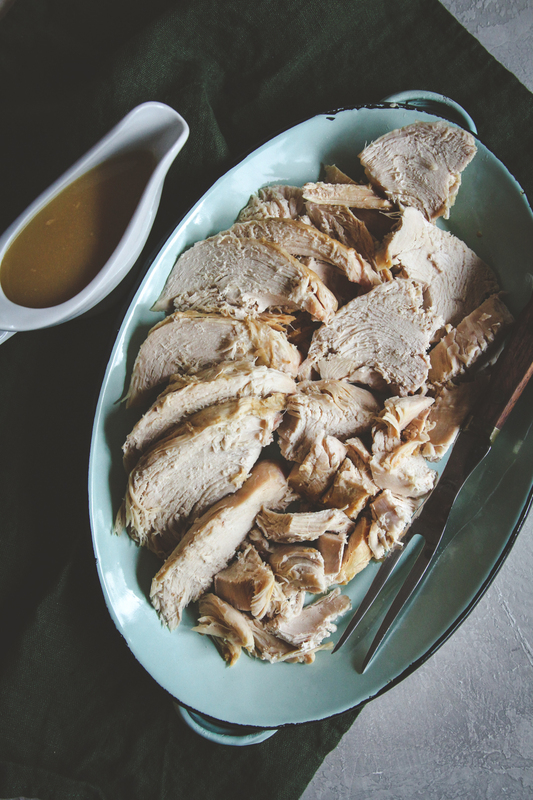 Making turkey in an Instant Pot is so easy. You put 2 cups of chicken stock, celery, onion, and carrots into the bottom of an Instant Pot, then you put in the turkey breast (it will be a tight fit) then you add some seasonings and then set it and forget it! After an hour, you have yourself a fully cooked, delicious turkey breast! Let’s say you’re having a Thanksgiving brunch or a Thanksgiving for a smaller group of people, this turkey breast would be so amazing – it leaves the stovetop and oven space free to make all sorts of other dishes (like this broccoli divine – always on our Thanksgiving table, or a staple this easy 5 ingredient pumpkin pie recipe). 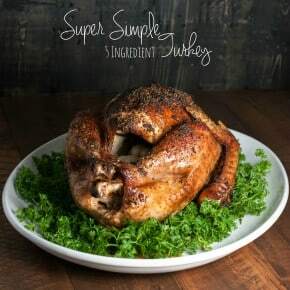 Or if you’re having a huge Thanksgiving and one large turkey isn’t enough (here is my recipe for a simple and delicious turkey with my mom’s secret marinade that is soooo good!) 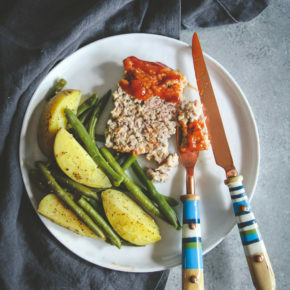 this easy Instant Pot turkey breast would be amazing to serve along with it for all those out there who love white meat! 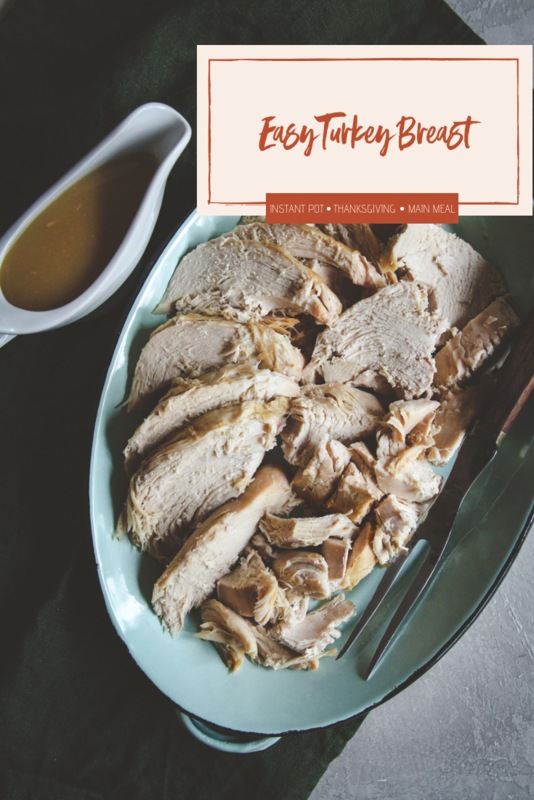 Also, if you don’t host Thanksgiving but what to make all sorts of yummy leftover Thanksgiving turkey recipes, it would be great to just make a turkey breast to use for those recipe (I have a breakfast sandwich recipe coming up I think you’re going to LOVE!) I’m also sharing a recipe for how to make delicious gravy out of the turkey drippings/cooking liquid! Remove the turkey breast from the packaging and discard the gravy packet (unless you'd like to use it later). Add half of the onions, carrots and celery to the the bottom of a 6 qt Instant Pot. Place the Instant Pot lid on and place it in the seal/lock position with the vent closed. Cook on manual HIGH for 1 hour. Quick release and open the lid when the pressure subsides. 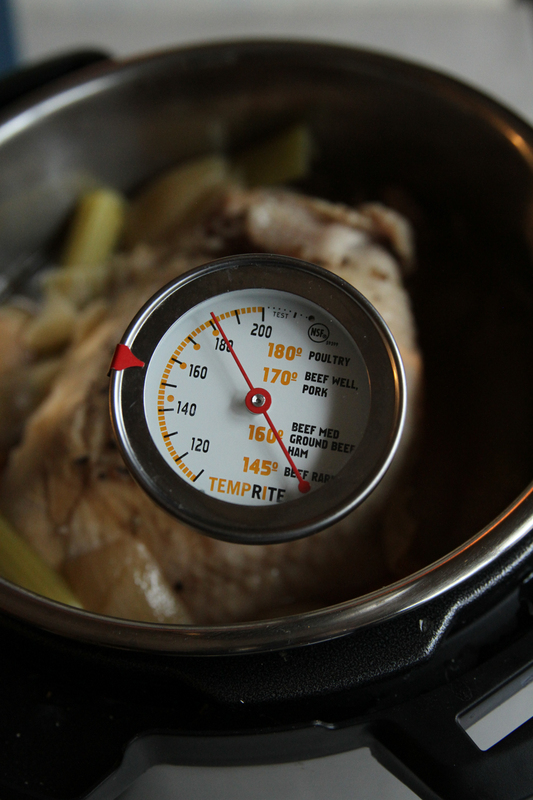 Check the turkey breast temperature, you want it to be at least 165 (or higher is ok). Carefully, using tongs or two large forks, lift the turkey breast out of the instant pot and place it on a large cutting board or on a serving platter. Slice and enjoy! In a saucepan over medium-high heat melt butter and add in flour - it will be very thick, whisk vigorously until a smooth paste forms. Slowly add the soy sauce and turkey cooking liquid and whisk until no more lumps remains. Cook, stirring occasionally, until the gravy comes to a slow boil, then reduce heat to low and cook until the gravy thickens to desired consistency (about 5 minutes). Serve over turkey and enjoy! I removed the skin before serving. You could put the turkey into a baking dish and place it under a broiler for 3-5 minutes to turn it brown.